Alex was born and grew up in sunny Bournemouth on the South Coast and trained at The University of Cumbria, graduating with 1st class honours. Most recently Alex has appeared as Miss Great Plains in the London revival of Pageant the Musical directed by Broadway and Tony nominated Bill Russell, choreographed by Sam Spencer Lane. Previous credits are Smee/Liza in S4K International’s tour of Peter Pan, directed by Julian Chenery, and numerous comedy roles in Pantomime for Made to Measure Productions at the Weymouth Pavilion. Alex also performs around the UK on the cabaret circuit as his drag alter ego Vileda Moppe. After winning national drag talent competition Drag Idol in 2016, his career as gone on to scale new heights. 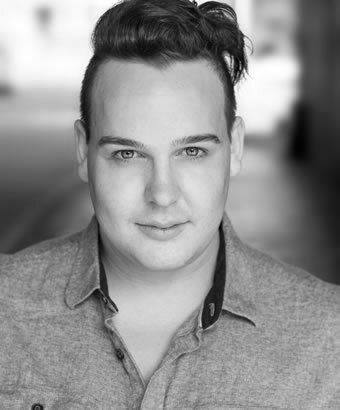 Alex is thrilled to be making his West End debut in Everybody’s Talking About Jamie and would like to thank his agents at Artlen House Associates and to all those that have had a hand in shaping his career to this point.